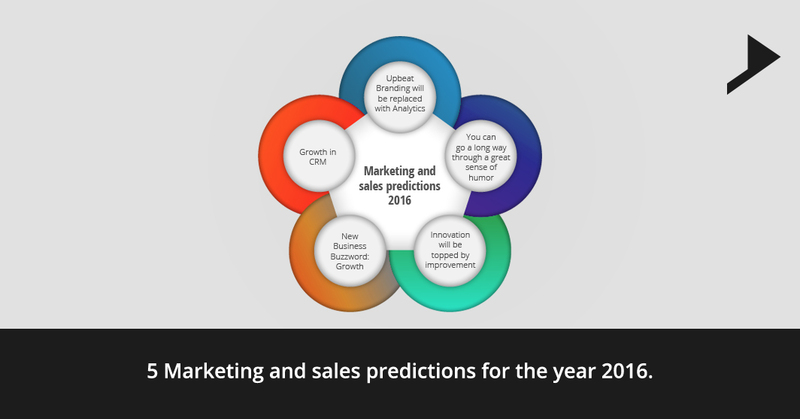 5 Marketing and sales predictions for the year 2016. 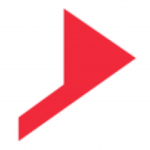 Home / Digital Marketing / 5 Marketing and sales predictions for the year 2016. This is the time when all the activities start reflecting which are accomplished over the past 365 days. Without having a look back we decided to gander at what’s coming forward especially as it is related to marketing and sales. A handpicked business leaders and their thoughts about the sales and marketing forecasts. Positively this will be great to let you think about in the New Year. According to Russ Hearl, Vice President, Mid-Market Sales at DoubleDutch, in 2016 the sales people will be more specialized and the leaders of sales will rapidly adapt organization models, sales enabled technologies and the processes to drive efficiency and velocity. Departments of marketing will be less reliant on counting the value they are delivering to the organization. Use of mobile will definitely drive quality leads and analytics from different offline activities. According to the view of Chris Ostoich, Co-Founder, LISNR , Donald Trump will elect himself as the king of US and also the CEO of all the SAAS companies , direct marketing will make a triumphant return as the number one marketing channel, BEST will be the word which removed from the end of every email. According to Brandon Staton, Marketing & Public Relations Manager, Transportation Impact Marketing and sales will refine itself more around e-commerce. Companies investing in analytics will be on the top. Internet acts as a catalyst between the customers and it also removes different competitive barriers. Now a days the complete entrepreneurial world is going online. Innovation is compared taking into consideration what big improvement has been taken place which are actually in use. Tim Wu, Director of Marketing and Growth, Framed, says, evolution of companies will be going on and it will grow beyond single purpose SaaS for user engagement and marketing. The winner will always be the company with a huge customer database. Growth will be adopted with more formal splits in between the retention and acquisition. Professionals with specific roles will have to navigate the dynamics, sales people will have to rely more on the analytics to know from where the leads are coming from. Amanda Kahlow, CEO of 6sense is of the opinion that year 2016 will be the tipping point for sales and marketing. Business will be driven by data. Human beings will have to step back from the scene. Sales and marketing will be much connected only with the data. It will be a world wherein you can follow your customers through different channels. All these are the predictions for this new year. If you can help us out with more suggestions you are always welcome. Hi, this is a real kind of writing and i appreciate your work. Cheers and carry forward the same. Hey Sherin, its a great pleasure that our viewers are loving the posts which we are publishing. This is a motivational factor for us. Thank you.